Paper flowers are popping up on cards all over the place, they are easy to make and add alot of dimension to any hand stamped card. 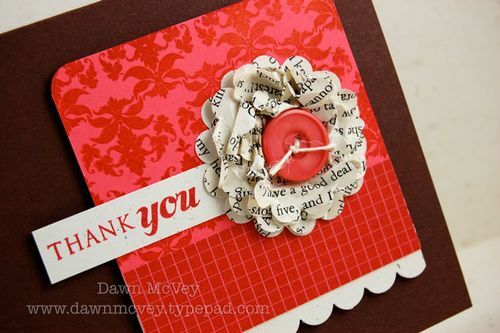 Visit Dawn McVey’s blog for a great video tutorial on how she makes her Poofy Paper Flowers. Thanks so much Dawn for a cute, poofie, puffy flower! I can think of many uses for this cute flower!